adjustments. 15 Amp relay. Ideal for bell ringing or control applications. in a locked cabinet and a six inch bell. 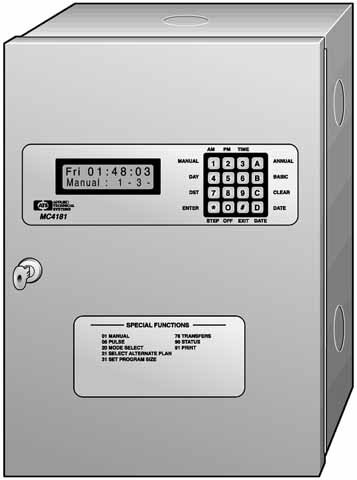 The AP41 is a Four Circuit Wall/Panel Mount Time Switch. day with Annual Program capability. 15 Amp relays. 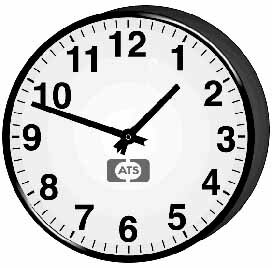 The MC41 is a Four Circuit Wall/Panel Mount Master Clock. plus built-in Secondary Clock Correction routines for all major brands. Correction routines for all major brands. Six and Ten Inch Bells for signaling class changes, breaks and alarms. Available in 120 VAC and 24 VAC models. One Inch High, Bright Red LED Digits, visible up to 50 feet away. 2.3 Inch High, Bright Red LED Digits, visible up to 110 feet away. indicators, RS232 displays, and production monitors. Four Inch High, Super Bright Red, Dot or Bar Segment LED Digits, visible up to 200 feet away. RS232 displays, and production monitors. 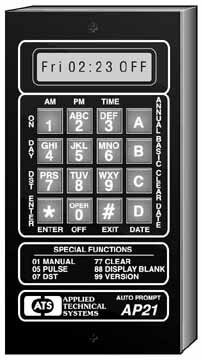 Also available are: two, three, and five digit models. monitors. 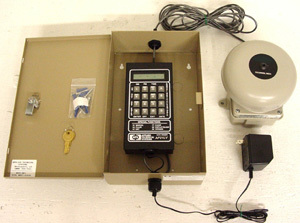 Also available are: two, three, and five digit models. process indicators, RS232 displays, and production monitors. 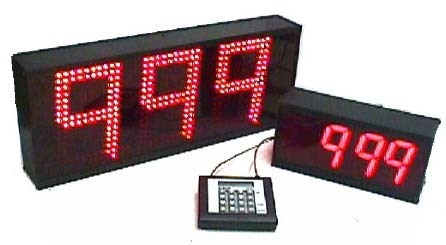 Low cost, Four-Inch System Clock displays hour and minutes. Correction. 12 or 24 hour format. 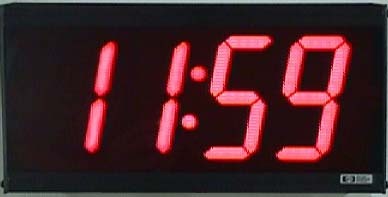 Low cost, Four-Inch Digital Clock displays hour and minutes. Easy to set. Visible over 100 feet away. 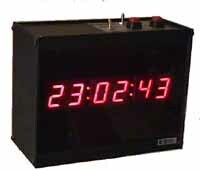 Stand-Alone and Computer or Master Clock controlled systems. AE Series Clock/Timer products in place of the built-in controls. 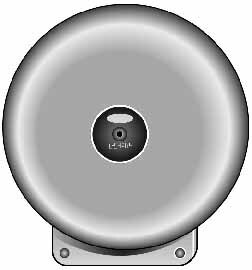 Flush mount and surface mount models are available. 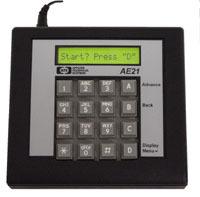 Provides a remote, menu driven, terminal for AE Series RS232 Displays. functions on AE Series RS232 Displays.